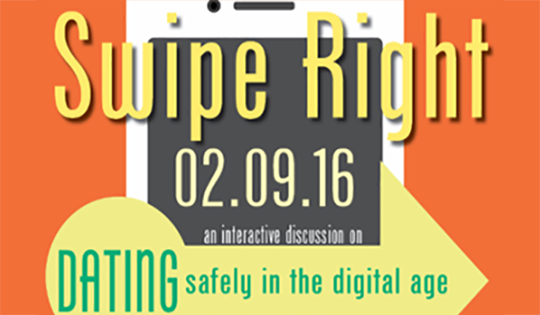 Our very own Megan Ward, along with graduate assistant Kaitlin Kent, participated in a panel discussion on dating in the digital age as part of the Relationship and Sexual Violence Prevention (RSVP) CeLOVEbration of Healthy Relationships. They had a great time discussing dating apps like Tinder as well as chatting about Facebook stalking and new features in the Facebook world that allow for easier break ups. We always love the chance to broaden our relationships outside of the NMI and participate in fun events with students and organizations from across campus!